Most of you probably think salad is the only healthy food you can get at restaurants, but it’s not that simple. “The Washington Post” recently posted an article which suggests that salads at many restaurants contain almost as many calories as a burger. The main problem with salad is lettuce. Lettuce is the base of most healthy-sounding salads in restaurants and it contains more water than calories, minerals, and vitamins. Basically, it does not contribute anything to your dietary needs and acts as a vehicle to shovel cheese, croutons, and other dressings into your body. Even homemade salads are not as healthy as you think, so forget eating out. 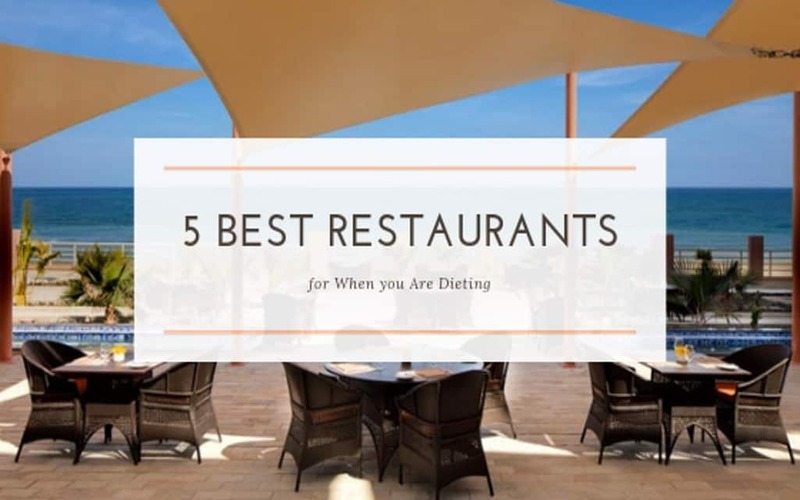 But don’t worry, there are quite a lot of dishes and restaurants out there that you can try which will contribute more to your dietary needs than a salad. And we are here to provide you with 5 such restaurants. Chipotle Mexican Grill is a fast food chain that specializes in foods such as burritos and tacos. They have a mission statement of “food with integrity” and they try to use only organic and local ingredients and meats from naturally raised animals. Chipotle is available all over the US and at some places in Canada, Germany, France, and the United Kingdom. Some of the healthy food options you can try at Chipotle are – Tacos and salads, burritos, a variety of meats, rice, guacamole, veggies, and beans. Souplantation believes that eating healthy, wholesome, and fresh food is an important part of leading a great life. All of their restaurants are founded upon this idea and you can find tons of items that are farm fresh and made from scratch. At Souplantation, you can find salads with freshest ingredients and they allow customers to make their own salad. If you haven’t tried before then we definitely recommend you visiting them once. And to make things better, here are some Souplantation coupons that you can use. Wendy’s is the world’s 3rd largest hamburger fast food chain. The dish we recommend you to try at Wendy’s is ‘Ultimate Chicken Grill Sandwich”. This sandwich has extremely reasonable stats without modifying any toppings. It has around 35 grams of protein and 8 grams of fat. We recommend you to add a small chili to the meal which gives the iron and fiber that will fill you up. McDonald’s is the biggest fast food chain in the world. Most of the items offered at McDonald’s is unhealthy and heavily processed and they have been criticized a lot for this reason. But with the growing criticism, they have started adding some healthy alternatives to the menu. We recommend you trying different healthy salads at McDonald’s which are mostly made with chicken, vegetables, and fruits. With over 36,000 restaurants located all over the world, finding one near you won’t be a big issue. The cheesecake factory is mainly known for high-calorie foods on the menu. However, due to an increase in health awareness of their customers, they have started offering a ‘SkinnyLicious’ menu. The items in this menu have healthier ingredients. They are mostly located in the United States with few restaurants in the Middle East. Some of the healthy options to try at Cheesecake factory is fish, salads, steaks, seafood, etc. There you go, 5 best restaurants for when you are dieting. Take your time and go through these options, and surely you will find something that satisfies your needs. Good luck!